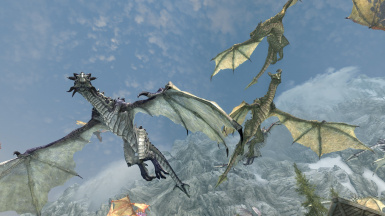 Is this Compatible with Deadly Dragons (Normal version-which adds extra dragons)? 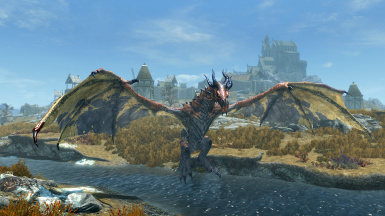 I have tried several of your dragon mods in conjunction with others. 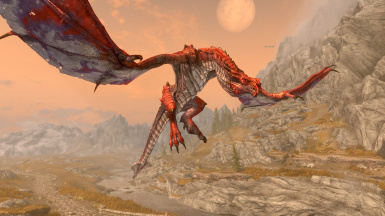 I do have a question whether this is compatible with The Dragon Engine at all? 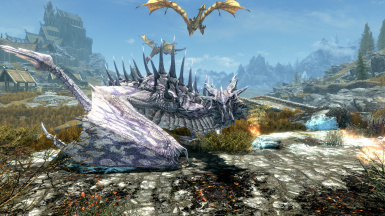 It also changes the tint masks of dragons using Race menu as a base. I would like to see about using both but I'm not sure if that is overkill just yet. Any would be greatly appreciated. They are semi-compatible. 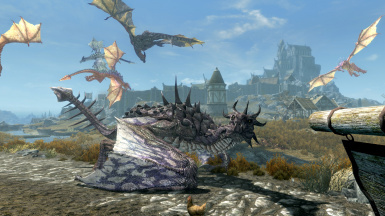 The Dragon Engine can apply tintmasks to some of the dragons added by this mod, but not all of them. There is also no guarantee some combinations would not look odd. 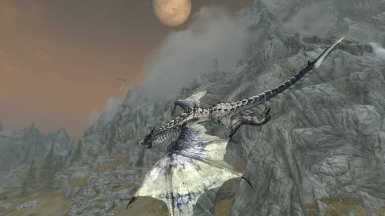 If you really, really care about never seeing the same dragon twice, then go ahead and use both. Together they could theoretically add billions of possible combinations. helo does this mod is compatible with run for your life ? 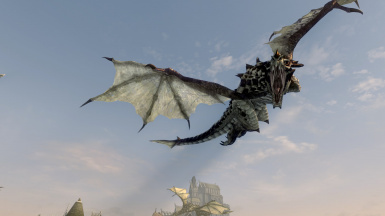 i have question about this mod does the dragon variants on this mod work on dovahkriid? 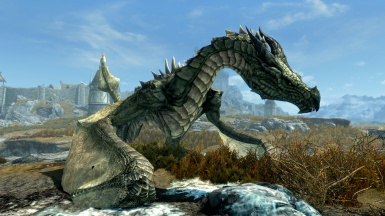 What if we use Realistik 4k dragons by Frozunswaidon, will the mod work with his textures? Thank you so much for this mod, had bellyache drag but it was causing me to CTD, had to remove it and jump right into yours. Love that it simple no new powers or skeleton that might cause problems and drags look good and hit hard so loving it. 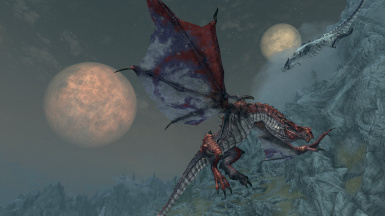 Can i ask what happened to the Splendor - Dragon Variants - DDC 3 Patch is it no longer needed? Check the DDC page -- for latest DDC version the patch is not needed. why is the file size so much smaller than ddc? what's the difference between the 2 mod? It is in very big letters at the opening of the description page... "Using no external resources".